April | 2014 | The British in Crete, 1896 to 1913. British sailors putting on a display for two Princes… who don’t seem that impressed. 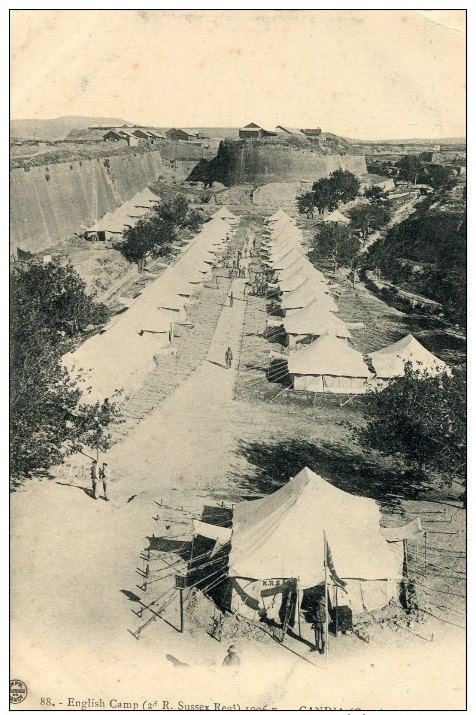 The event took place on what is now the site of the British and Commonwealth War Cemetery at Suda Bay…at that time it was a golf course built by the British (Scottish?) troops. This entry was posted in European Intervention Crete, Naval, Royal Navy in Crete on April 28, 2014 by Mick McT. 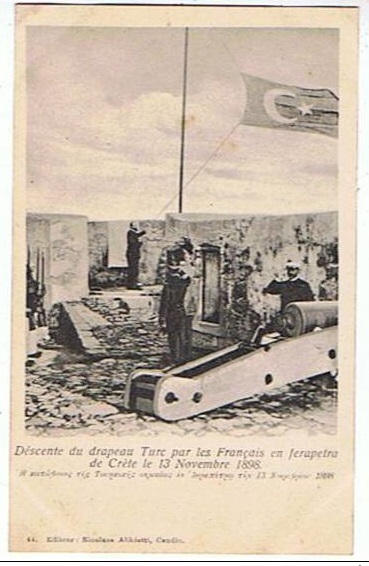 Final lowering of the Ottoman flag in Irapetra. Probably taken about 1st November 1898; the Cretan calendar was 12 days behind the European one in that year. 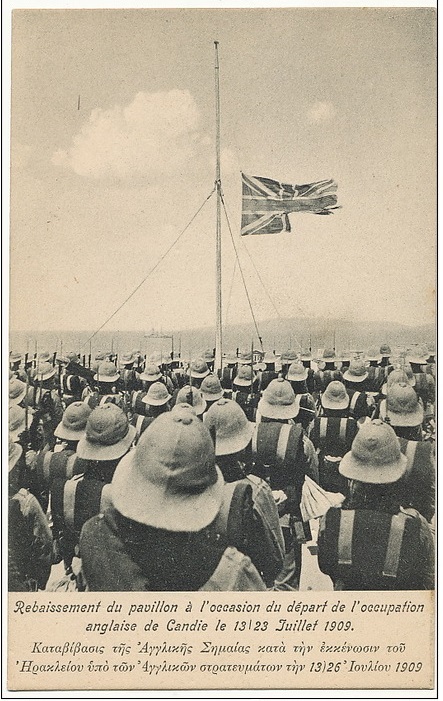 13 July 1909 and the British finally pull out of Crete…defence cuts forced the withdrawal when the British troops were down to their last flag. 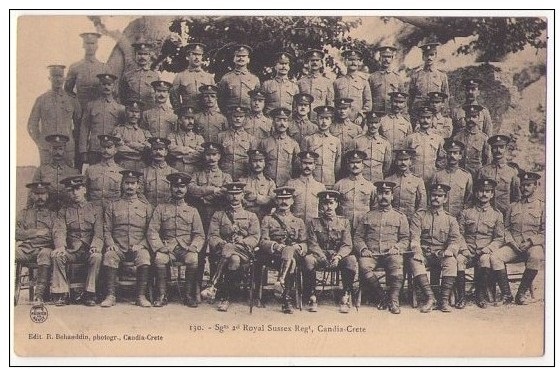 Troops shown are 2nd Battalion, The Devonshire Regiment. 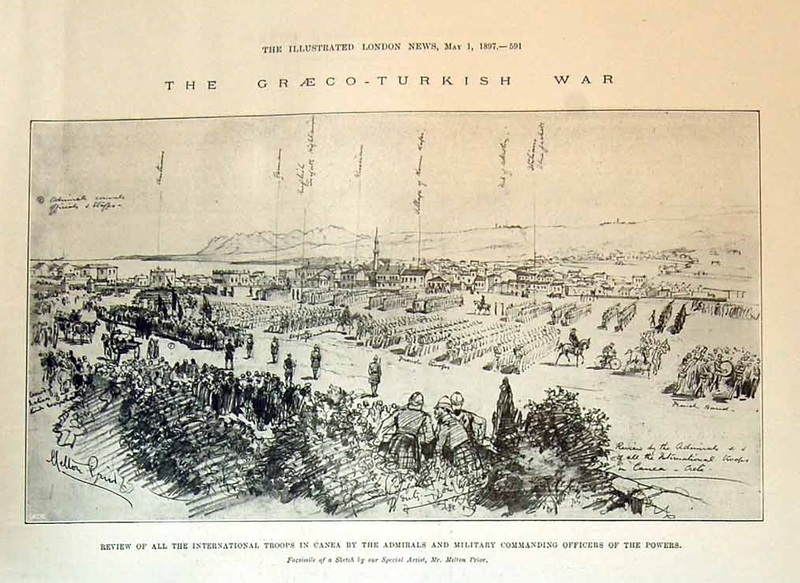 This entry was posted in British Army in Crete, Devonshire Regiment, European Intervention Crete, Ottomans in Crete and tagged Devonshire regiment, Ottoman flag on April 25, 2014 by Mick McT. 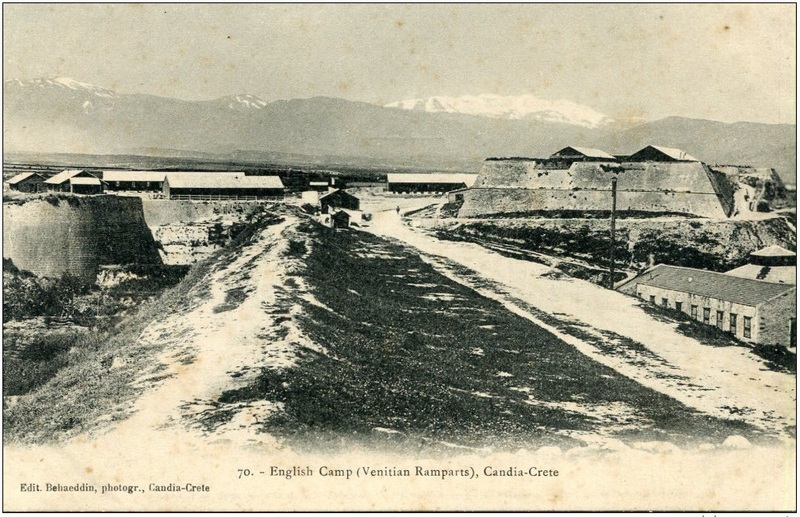 Camp of the Second Battalion The Sussex Regiment, Candia 1905-1907. Assuming the map contained in FO78/5044 (23) in the National Archive is correct, this is in the ditch just south of the Canea Gate Road. This entry was posted in British Army in Crete and tagged British Army, European Intervention Crete, the Second Battalion The Sussex Regiment on April 24, 2014 by Mick McT. 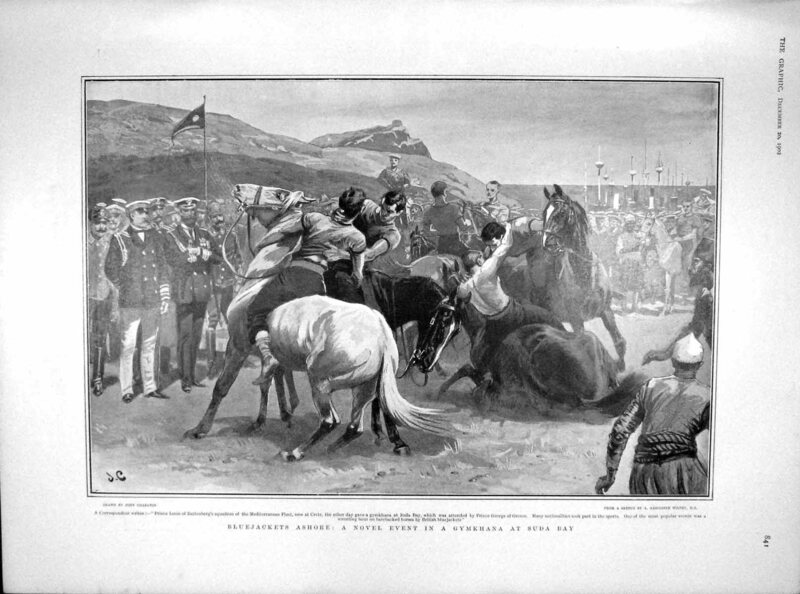 The date of the Review is not stated, but presumably it’s the parade of 15th April 1897. The kilted troops in the foreground are Seaforth Highlanders. 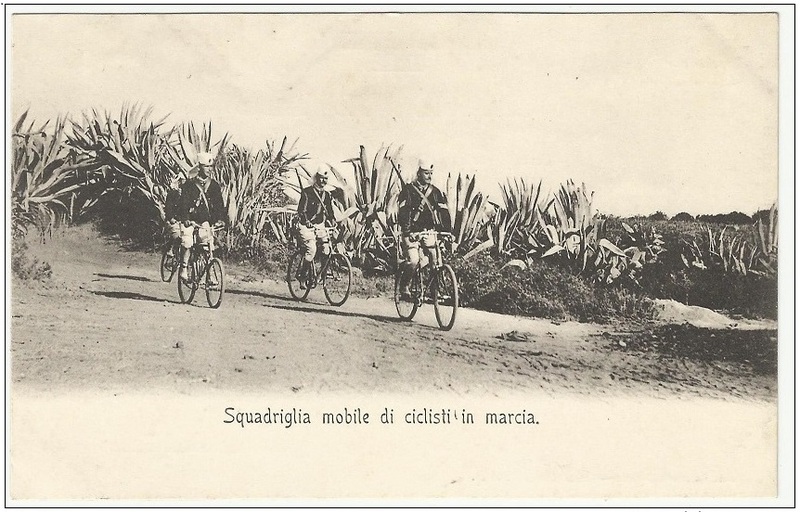 The nationality of the man on the bicycle is unknown but comparison with this might suggest he’s Italian. 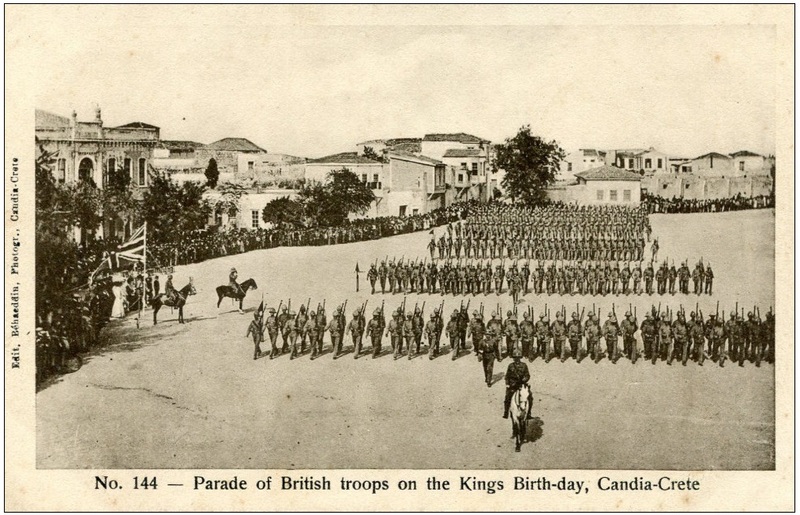 This entry was posted in British Army in Crete, European Intervention Crete, Seaforth Highlanders and tagged British Army, Crete 1897, European Intervention Crete, Seaforth Highlanders on April 20, 2014 by Mick McT. 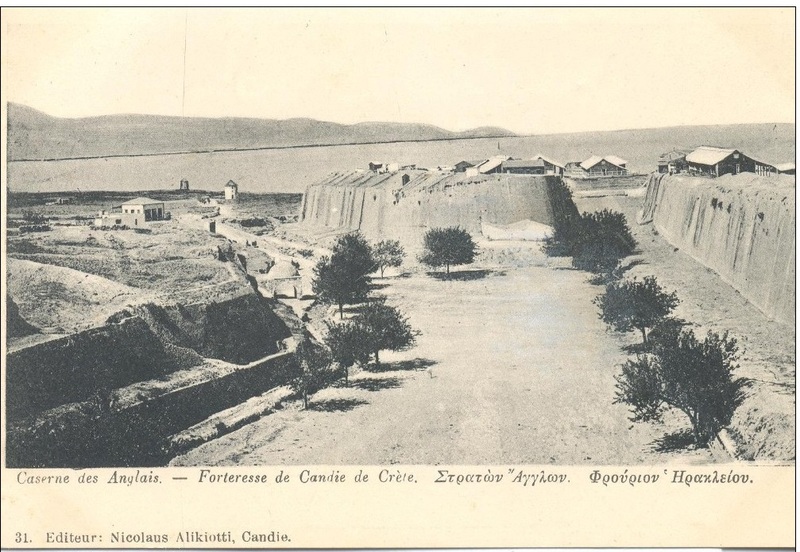 The Italians had charge of Selinos, in the south west of Crete; one of the four secteurs the island was divided into between 1898 and 1909. This entry was posted in European Intervention Crete and tagged European Intervention Crete, Italian cyclists on April 20, 2014 by Mick McT. Must be between 1902 and 1909. This entry was posted in British Army in Crete, European Intervention Crete and tagged British Army, European Intervention Crete on April 20, 2014 by Mick McT.